Shopping for Kinnikuman Vinyl Figures? The alien from Dokuro-sei is ready to conquer your vinyl collection. The memorable character is the nemesis of Kinnikuman in the manga and anime series Kinnikuman. 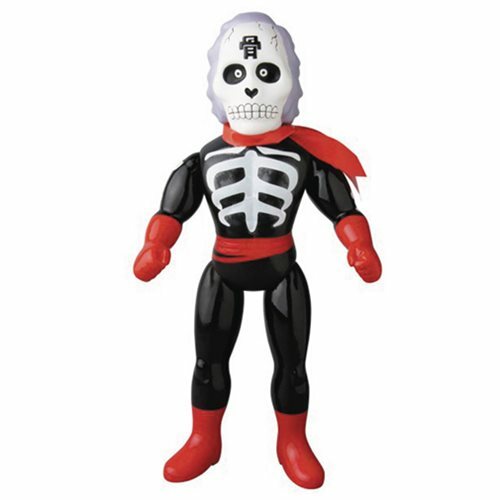 Just as he appears on the pages of the series, this Kinnikuman Kinkotsuman Sofubi Vinyl Figure includes details as small as the character for bone on his forehead!